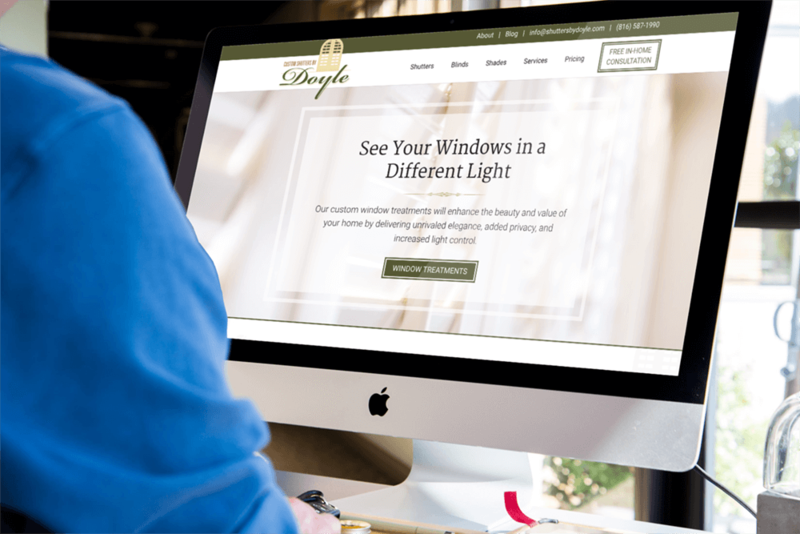 Our team at Custom Shutters by Doyle is very happy to announce the launch of our newly redesigned website at ShuttersByDoyle.com! Over the years we’ve been lucky enough to form wonderful relationships with homeowners, builders, and interior designers throughout Kansas City, and to help strengthen those relationships even further, we set out to build a new website which provides our customers with an engaging, informative, and user-friendly way to interact with our company. As you browse shuttersbydoyle.com, you’ll find that we’ve added a completely revamped product catalog, featuring our most popular window treatment offerings from big names like O’Hair Customs™, Hunter Douglas, and Graber. Inside the catalog we’ve included product descriptions, benefit and feature highlights, product specifications, and vivid imagery of real-world implementations, all with the intent of helping you choose the perfect shutter, blind, or shade treatment for your home. We’ve also added a new Services page which breaks down our various window treatment services, including details on our free window measurements, and our professional installation services. Recognizing that many homeowners value self-education when it comes to interior design, we’ve created a new blog that is intended to provide regular news and tips for improving your home decor, and getting the most out of your new plantation shutters, blinds, or shades. Lastly, if you’re interested in installing new window treatments in your home, we’ve added a new appointment request form on our Contact page. Just provide us with your contact information, the treatment you’re interested in installing, and your preferred appointment dates, and we’ll quickly reach out to schedule your free in-home consultation and window measurement. Thank you for visiting shuttersbydoyle.com, and as always, we’d love to hear your feedback via rhonda.shuttersbydoyle@gmail.com!